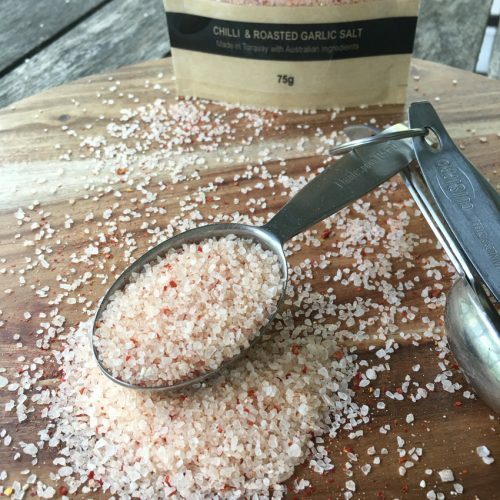 Ingredients: Australian lake salt, ground dried shiitake mushrooms, garlic powder, Tasmanian pepper berries. 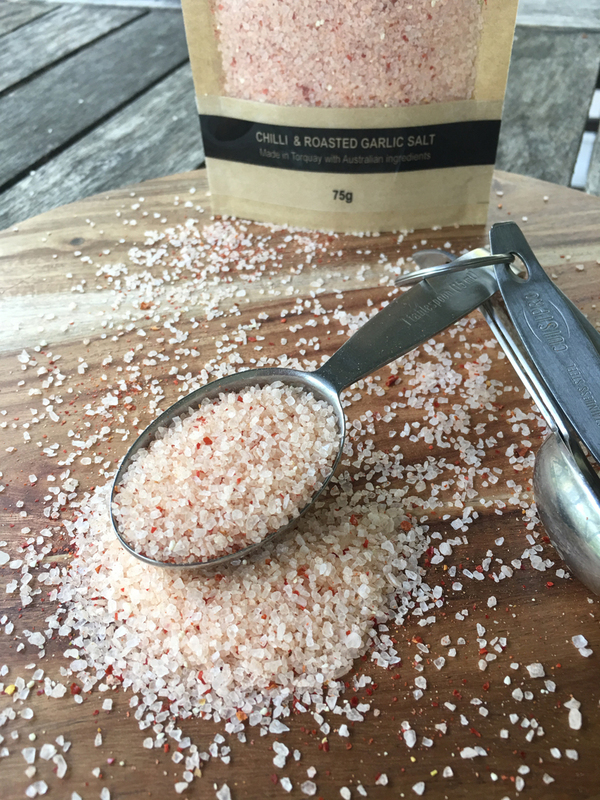 This blend of gourmet salt combines the umami flavours of our own homegrown shiitake mushrooms with the citrusy and spicy overtones of native Tasmanian pepper berries. It is guaranteed to add an extra element of deliciousness to any dish. Storage: Store in a cool dry place. 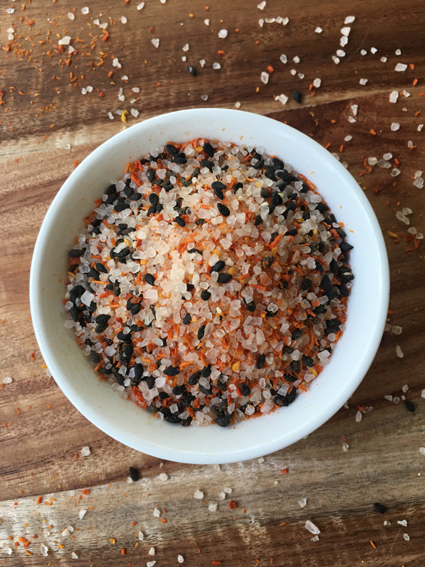 Some salts may retain moisture and get clumpy over time… This is natural and doesn’t affect the quality of the salt.